Everyone has their thing that they crave regularly. For me it's donuts. I don't even eat donuts that often, maybe once every two months, and I'm so particular about my donuts I'm often disappointed when I do get to eat donuts. And still, I often catch myself wishing desperately for warm glazed donuts. 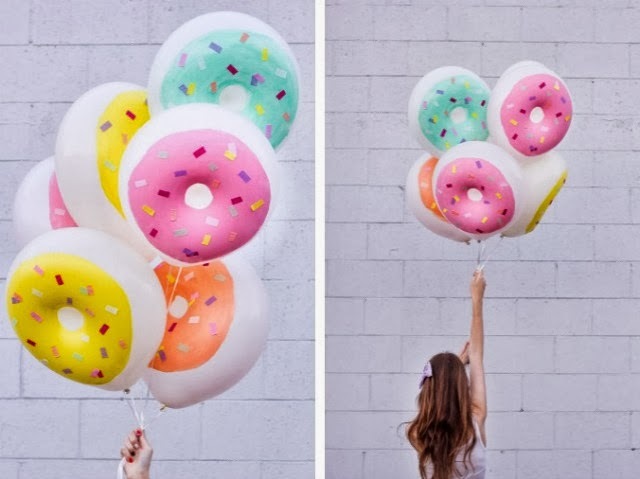 I think that's why I'm so smitten with these donut balloons.